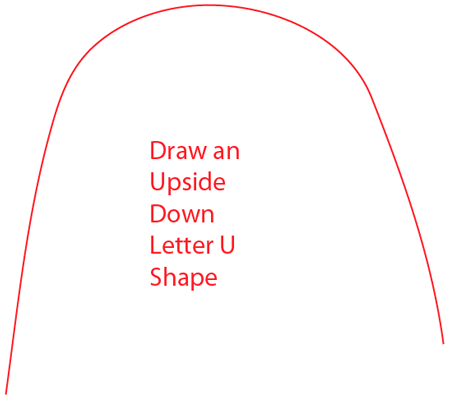 First you need to draw an upside down letter ‘U’ shape. 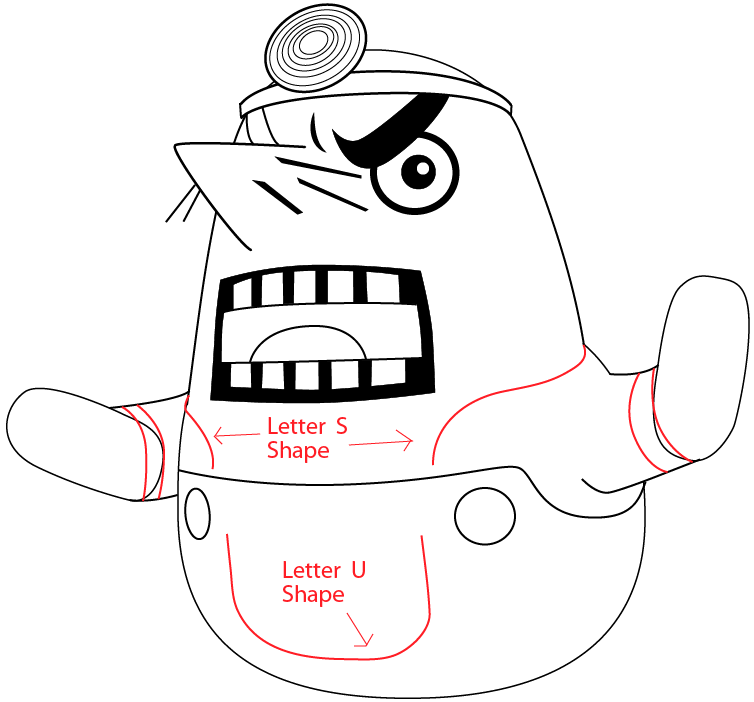 Draw an oval-ish shape below the letter ‘U’ shape and then draw the guidelines. Draw his eye and nose. 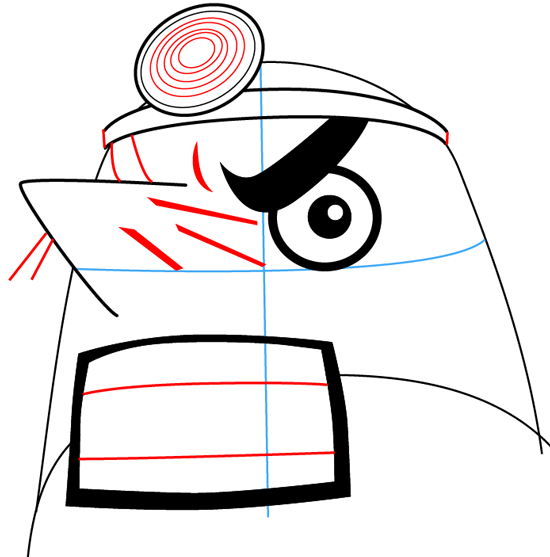 Start his hat by drawing two slightly curved lines. 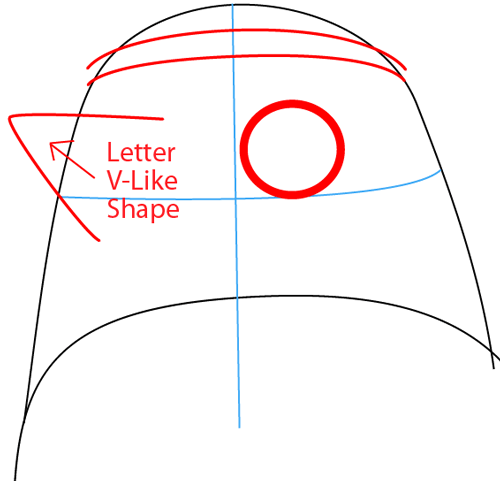 Draw his pupil, eyebrow and two ovals for light on his hat. 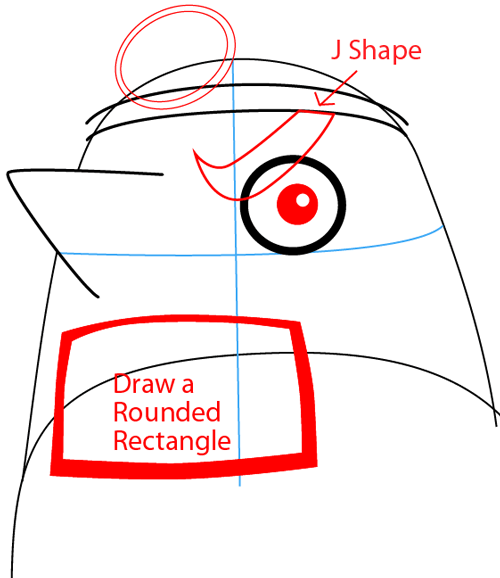 Start his mouth by drawing a rounded rectangle. Add details to his face, then two lines for his upper and lower teeth. 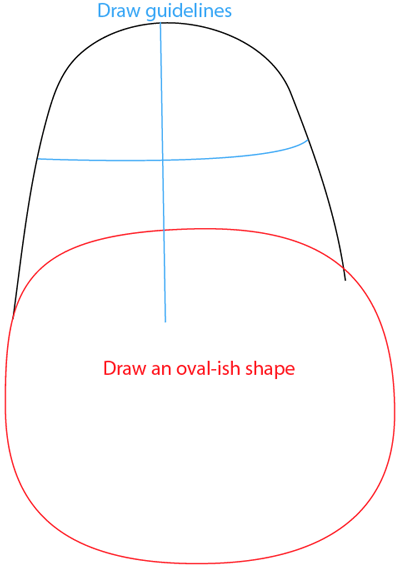 Next complete the hat by drawing more ovals. Draw rectangles for teeth and a sideways letter ‘C’ for tongue. Use the guidelines to help place the arms. Start drawing his jumper with two ovals for the buttons. Continue drawing his jumper and start drawing his shirt. 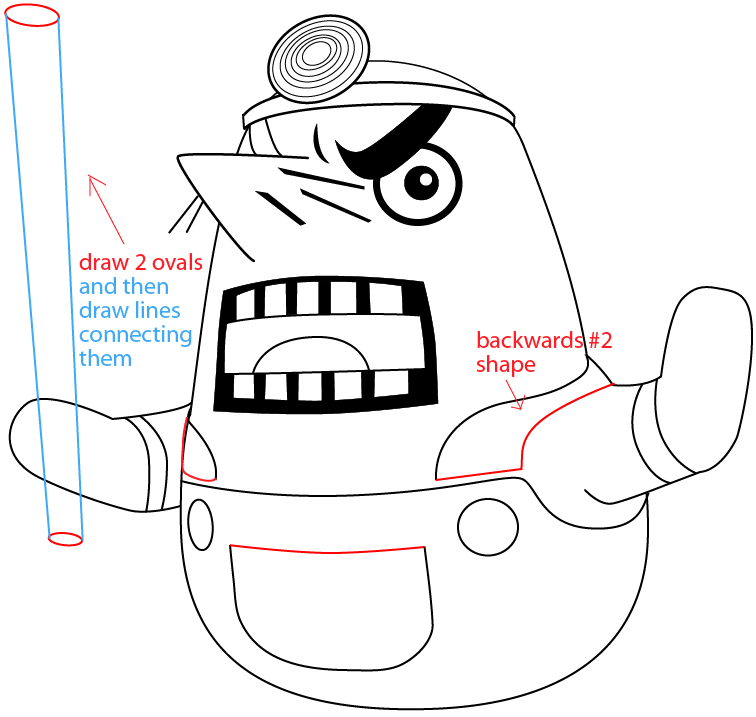 Continue drawing his jumper using simple shapes. 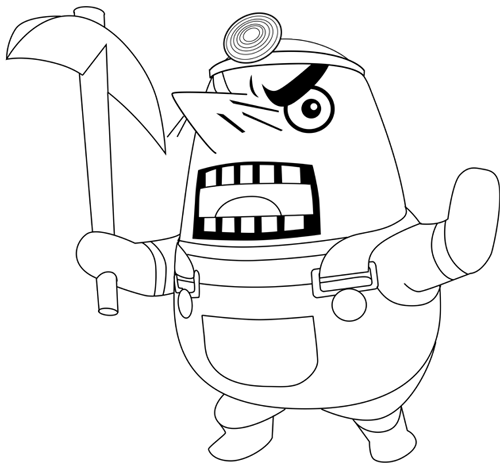 Draw the base of his pickaxe by drawing two straight lines and two ovals. 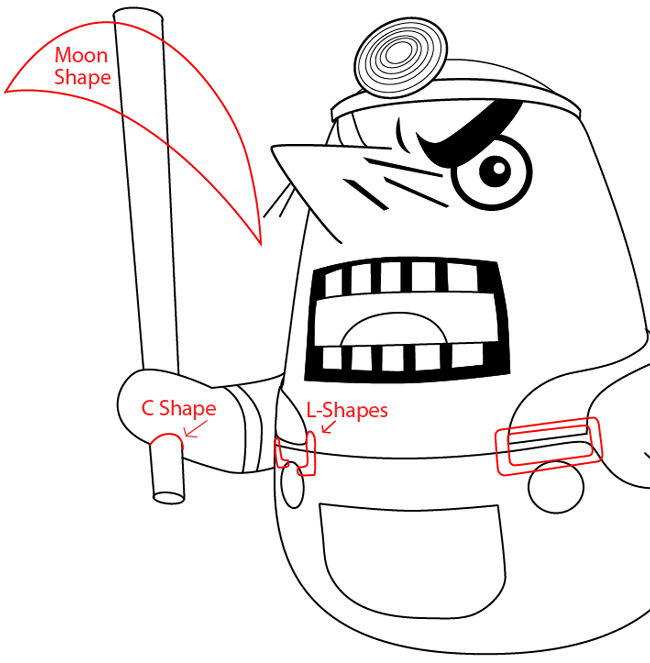 Draw a moon shape for the top of his pickaxe. Then draw the buckles of his jumper. 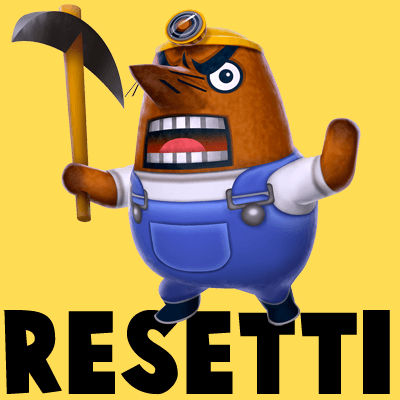 Complete his pickaxe and shirt by drawing a few more details. 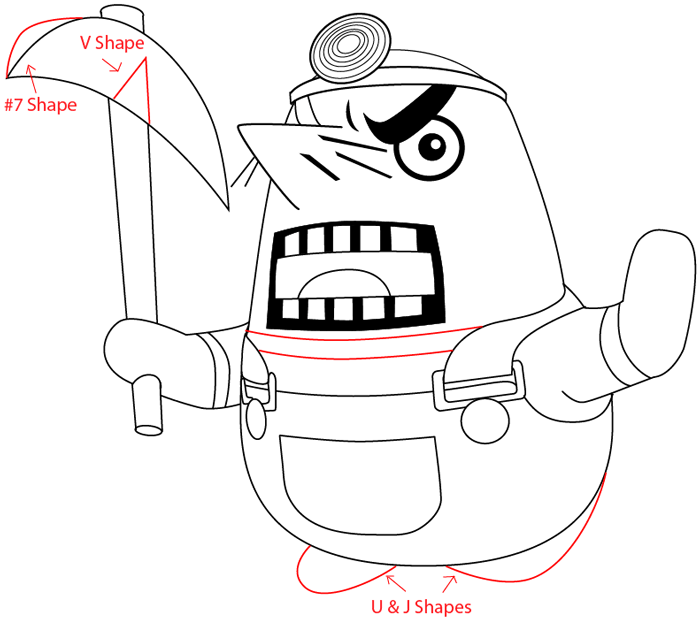 Start drawing his feet by drawing letters ‘U’ and ‘J’ shapes. 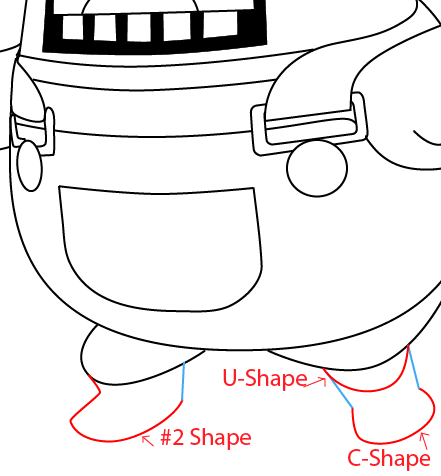 Finally complete his feet by drawing letters ‘U’ and ‘C’ shapes and number ‘2’ shape.